Although there’s been a recent victory against the reopening of the Black Mesa Complex, the Kayenta mine is still operating and elders on the front lines fighting the continued impacts of coal mining and forced relocation efforts are still requesting support. We are writing with a request for direct on-land support on behalf of families of traditional resistance communities of Black Mesa, AZ.. One of the Big Mountain elder matriarchs, Blanche Wilson, the mother of Mae Tso, who hosted the 2008 caravan, passed away yesterday. Please hold her and her family in your thoughts and prayers. Mae and Samuel, two of Blanche’s children, and elders themselves, are living alone at their homesite. They are in much need of support–they will need to take four days away from basic necessities and work for the traditional funeral. Additionally Mae injured her back on Christmas day and has been in pain for the last three weeks and at a limited work capacity; Samuel has been working double what he normally does. There are supporters there now until Wednesday the 20th. The funeral will be after that so, as mentioned, they really need the help at this time. If you are available for any days from this Wednesday on, please let us know ASAP, so we can tell the family that the homesite and sheep will be covered. Please forward this to anyone you know who could possibly be available to support. Furthermore, after this year’s Caravan/Fall Wood Run to Black Mesa, BMIS is receiving an unprecedented amount of direct requests for on-land support from elders–we usually have about 2-3 per month and this month we have NINE requests, besides Mae and Samuel Tso. There are several sheepherders on-land right now, but nearly all of them are leaving by the end of the month. February is a difficult month for the elders to live out in the vast canyonlands of Black Mesa in such high altitude in the cold and snow without paved roads and supporters are much appreciated. One of the elders is undergoing knee surgery at the end of January and will be out of commission for several weeks. If you contact us we will give you details. It is extremely important that we try as hard as we can to have supporters up there to honor these requests and make sure that we continue our support beyond the caravan. If you have come on a caravan or spent time on the land before please consider reconnecting with the struggle and staying with a family requesting support. If you can’t come out put the call out to your community and offer to talk to interested sheep herders about your experience before getting them in touch with us.This is vital to remain connected to the struggle and to show our solidarity. Please consider coming out if at all possible. Let us know, and let anyone else who could possibly come out know. 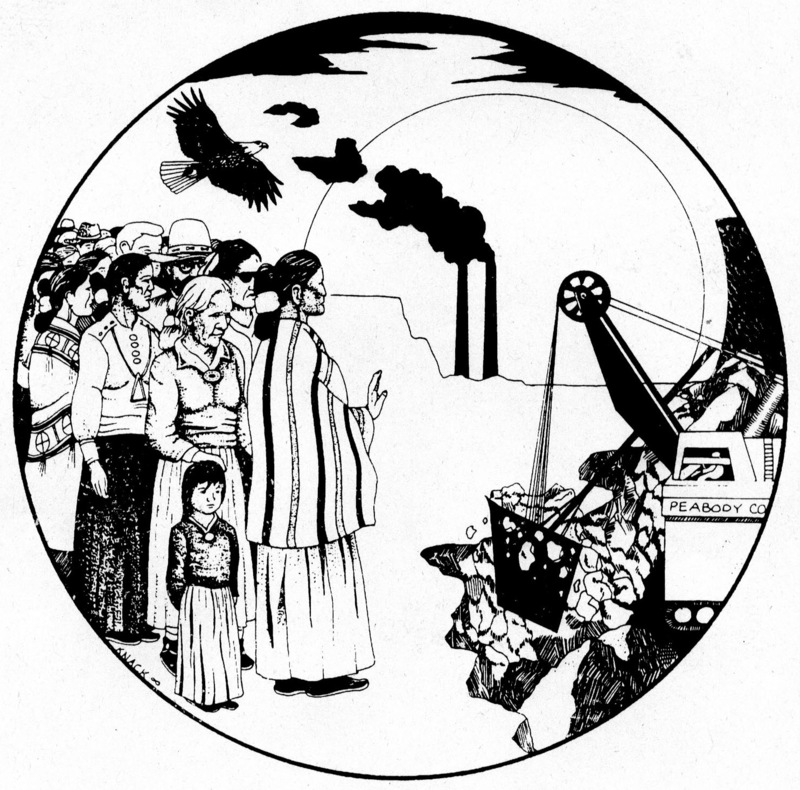 This entry was posted on January 23, 2010 at 2:09 am and is filed under Corporations, Direct Action & Civil Disobedience, Environment, Indigenous with tags Big Mountain, Black Mesa, coal, indigenous resistance, indigenous solidarity. You can follow any responses to this entry through the RSS 2.0 feed. You can leave a response, or trackback from your own site. I was hoping you might post a link on your links page. Would be a big help. Thanks. For sure! Hopefully you will do the same for ours! Hi, great post. I really like the image attached to it as well, would it be alright if I posted it onto a news post at http://www.kcsb.org? You can email me at mmalmlund at umail.ucsb.edu with questions. Thanks!